Finally some spare time just to update my blog of the latest piece of uni assignment which the deadline was yesterday. 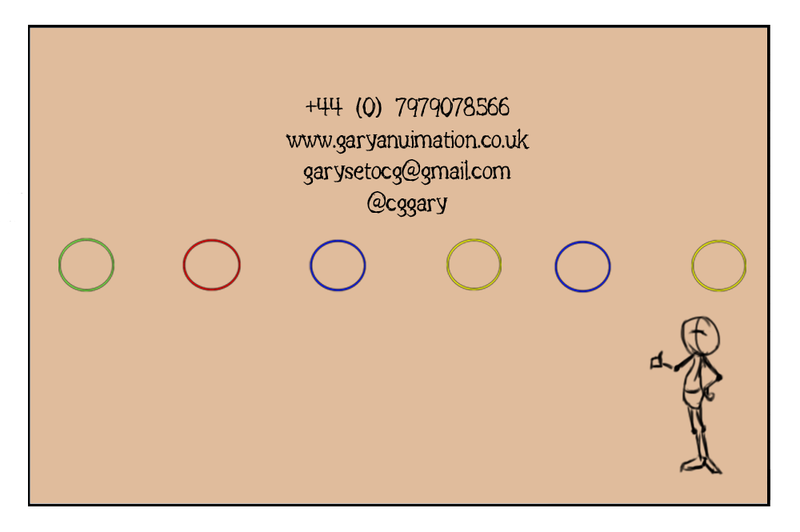 This piece of assignment was for my business module called The Animation Business. 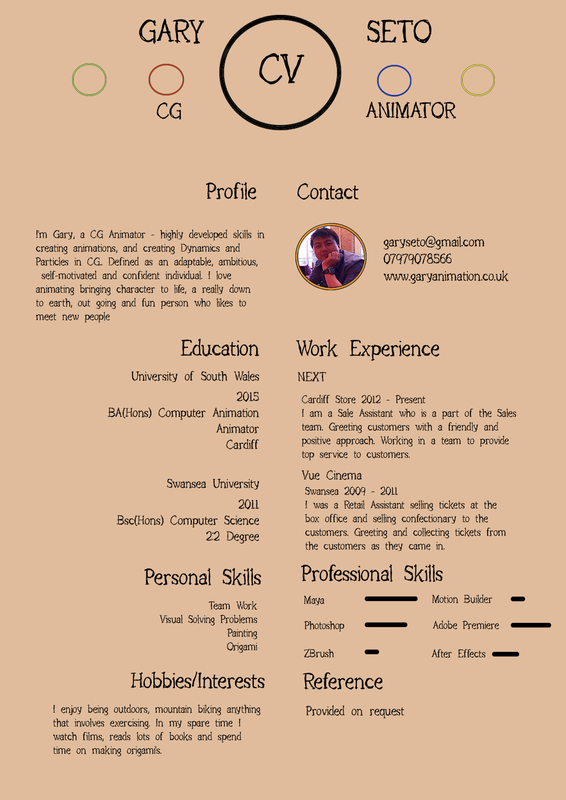 For this assignment I had to design and create a business card, a CV and a cover letter for myself. A little mock example if I were to apply for a job. The assignment was also useful as I can use the information from that assignment for actually applying for a job. I found it very difficult to come up with a design and a brand that I am comfortable with and also appealing as well as simple. In the end I kept it really simple also not too simple and plain. Very simple shapes, I like the idea of using the circle as a main shape to put my initials in. I decided to not have the lines or dotted lines going across connecting the circle. As I want the logo in the middle to stand out, dominated the focal point of the design. Maybe I could have done a little more better with the background colour. As I said earlier in one of my previous posts about the design, that I wanted to try and add a cardboard texture style in the background to get that texture feeling. But in the end decided to stick with plain colours. 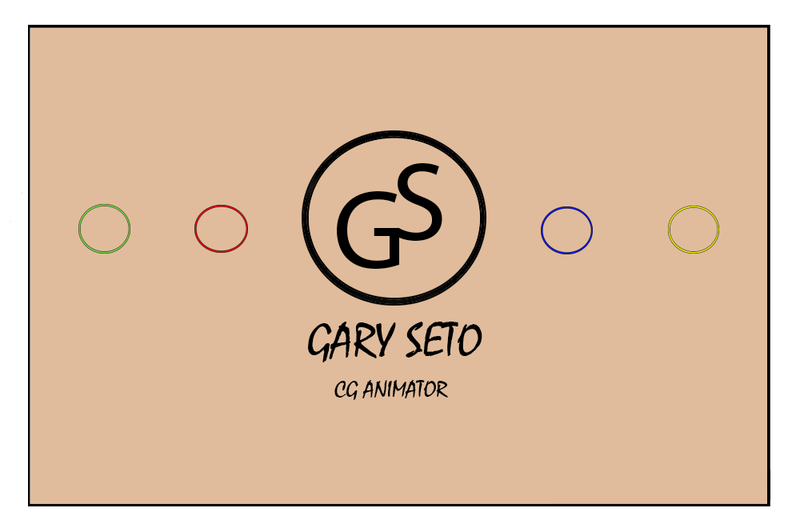 Again keeping with the branding of my logo and also the front of the business card. I decided to use the smaller circles as I did want a banner type going across the back with an image of my work. But instead I went with the circles which I am really happy about. As it links in with my brand and it's not taking up a lot of space. So space is good. I might have another look at the quick sketch of a character at the bottom right corner. The only reason I put that in there last minute is because I thought it needed at least one small image. Again keeping in line with my branding and again kept it really plain and simple so there's nothing too distracting that it will put the reader off from looking at my CV. As I said in an earlier post, I did want to see if adding cut off lines to section things off would look nice. But after experimenting with the lines I decided to just leave them out. Then use the body of the text to create sections for each sections. Now that is done and out of the way I hope I will get a good mark for this assignment.